We all aspire to greater calm and serenity. We cannot change everything in our lives, but we can change our outlook and our reactions to stress and anxiety. Such changes are what Doctor Dominique Servant proposes in this self-help manual. How to keep from being overwhelmed by stress? How to overcome the nervous wear and tear of an increasingly stressful life? How to deal with the stress of daily life and with such stressful situations as job loss or the break-up of a relationship? Bodily techniques can cure anxiety and help to avert some of the physical complications that can make life difficult (migraine, backache, insomnia, fatigue, etc.). By working on oneself, both psychologically and physically, it is possible to recover a sense of well-being, without the assistance of medication. There is a real demand for solutions to the problem of stress, one of the major ills of the century. The easy-to-follow methodology described here has been proven to be highly effective, and the earlier edition of this book was immensely successful. The author, an eminent specialist in stress and anxiety, is known for his great experience and competence in the field. Dominique Servant is a medical psychiatrist and the head of the Stress and Anxiety Unit at the teaching hospital of the University of Lille. 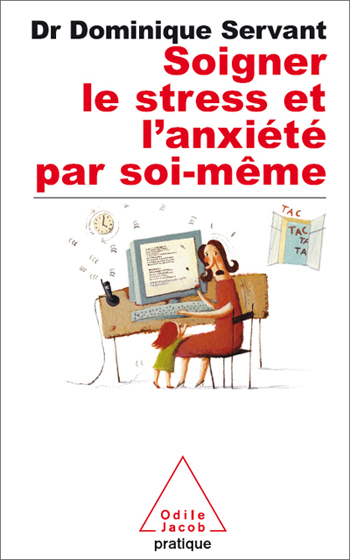 A founding member of the French Association for Anxiety Disorders (AFTA), he is one of France's top specialists on anxiety.